Are you ready to improve your short stack game? Read on! Being short stacked can happen in any game type. In formats like Hyper-Turbos and Spin-and-Go’s you start with a short stack, and in tournaments you'll very often find yourself short-stacked. So, let’s dive into 7 tips that will prepare you for these crucial situations! Tip #1: Learn your preflop ranges. Every decision you make while short stacked preflop is worth a big chunk of your total stack, so using solid opening and 3-bet-shoving strategies is critical to long-term profit. You can come up with these ranges yourself with trial and error and/or by studying good players. Otherwise, you can borrow ranges from a world-class pro by getting Upswing's upcoming tournament course -- Winning Poker Tournaments with Nick Petrangelo -- which comes out this Monday (October 15th). Editor's note: Nick's course comes with his Preflop Mastersheet, which has 250+ charts for 6 different stack depths. It covers every common preflop situation so you are prepared for deep stacked play, short stacked play, and everything in between. Preview the course here. Alternatively, you can use the SnapShove app, which tells you which hands to open-shove and 3-bet shove (no opening ranges though). You can and should adjust your ranges based on how your opponents are playing. For example, against weaker players you can profitably raise or limp more hands than you could against a good player. This is because the weaker players will rarely punish you for playing too loose. You should follow preflop ranges until you have reasons to do otherwise, at which point you can start implementing changes to the ranges to target the particular mistakes your opponents are making. Further reading: Open-Raising with a Short Stack Explained. Doug Polk, Ryan Fee, and Twitch star Parker "tonkaaaap" Talbot reveal their favorite short stack tactics and strategies in the Tournaments section of the Upswing Lab. Learn more now! Tip #2: Pay close attention to effective stack size. 'Effective stack size' is the least amount of chips in front of any player involved in a hand. It is important to stay aware of how deep your stack and your opponents’ stacks are so that you can adjust your strategy accordingly. Player C stack size: $50. In this example, the effective stack is $20 and the blinds are $1/$2, and Player C has raised on the button to $4 (a typical raise size in this situation). If you were Player A with A♦ A♥, which 3-bet size should you use? Click “Show Answer” when you’re ready for the answer. You can 3-bet raise anywhere from $6 to $50, but, as we are discussing in this tip, we are considering Player B’s stack too. A standard 3-bet size as the SB would be $12. And this achieves something: if Player B goes all-in for $20 and Player C calls, we have the option to reopen the round of betting because the all-in is $8 more than our raise (also $8 more than Player C’s raise), thus allowing us to get more value preflop. There will be many other times when your opponents' stack sizes should alter either your raise size or your action. Working out when to implement these subtle changes will give you a small win-rate boost. Tip #3: Consider postflop playability. 'Postflop playability' is how well your hand hits various flops and how it will play from the flop onward. This is particularly important in short stack formats because often after a preflop raise the stack depths are too short to maneuver much postflop. This means you’ll usually be all-in either on the flop or the turn. When short stacked with a hand that will play poorly postflop, but likely to the best hand preflop, jamming might be the most appropriate action. This allows you realize all of your hand's equity and avoid tough postflop decisions. Examples of such hands include small offsuit A-x hands and small pocket pairs (22–55). By jamming the hands that play poorly postflop but profit versus your opponent's calling range, you simplify your decisions and make a more profitable play. Tip #4: Don’t shove all-in for too many big blinds. It may seem like a good option to jam all-in for 25bbs from middle position with a hand like A♠ 5♦. However, the risk-to-reward offered by such a play is poor—you’ll usually either win a small pot or lose a big one. Instead, the optimal play is to stick to more standard sized raises, or fold when holding a weaker hand and/or expecting other players to frequently 3-bet. This saves our stack for better spots and stronger hands. Tip #5: Don’t be timid. A frequent mistake made by inexperienced players is becoming too passive at shorter stack depths. 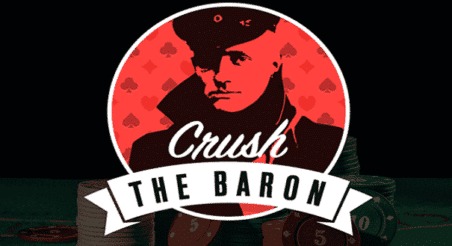 These players fold almost everything, waiting for a premium hand to double their stack with. Now, playing tight can be the correct strategy in some cases, most notably on money bubbles of tournaments. But playing overly tight too often will just lose you more chips compared to actively trying to win chips. The same applies to limping on the button. As a general rule, don’t try and do this. If your opponents see that you are limping too much, and they assume that you are doing it with weak hands, they can easily steal your limps by isolating you. Instead, you should raise either with the intention to win the blinds or to gain value from calls. One final way of playing too tight while short stacked is to under-defend from the big blind. Your opponents can profitably raise smaller with a very wide range of hands if you fold too often from the big blind. Allowing them to pick up a free big blind every orbit is basically gifting them a 5% (or more!) increase to their stack. In order to stop opponents from abusing your blinds, defend by calling or raising a decent range of hands. Tip #6: Never choose to be short stacked. This tip applies to formats like cash games and tournaments with add-ons, where you have the option to buy in for less than the maximum. 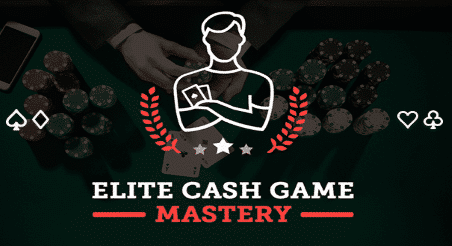 Seated at a cash game you should want to beat every opponent. Choosing to sit with less than the maximum hurts your chances of doing so. It can prevent you from making the correct play, and from putting pressure on opponents with comparable or larger stack sizes. In short, it means you are leaving money on the table that you could have otherwise won from weaker players. When taking a shot at a higher stakes game and want to lower your variance. When the strongest players in the game are deep and the weakest players are short. Tip #7: Expect variance, and prepare your bankroll for it. Short stacked poker can leave you with a lesser edge than deep stacked formats, but this is usually offset by the fact you can play many more hands in the same amount of time. With a lesser edge comes higher bankroll requirements. Short stacked formats like Hyper-Turbos and Spin-and-Go’s require more buy-ins than other formats. Failure to account for this can be the demise of even a very competent player. So, it's important to find out how many buy-ins you'll need for your chosen format. Time spent studying effective short stack play will lead to gains of knowledge and an increase in your win-rate. Though, as always, studying is no substitute for playing. So get out there and try some short stacked formats for yourself! And good luck! Our team of world-class pros reveal how they overbet, use blockers, approach multiway pots, and more in this acclaimed poker training course.